I haven’t used Midnight Muse in a while, so I decided to pull it out for my card today. I think I may be the last demonstrator in Melbourne to open my Stampin’ Up! Sale-A-Bration DSP Sycamore Street. After I cracked it open I found this pretty patterned Summer Starfruit paper. I’ve teamed it with the Summer Starfruit flowers and Midnight Muse leaves from Stampin’ Up!s Summer Silhouettes. 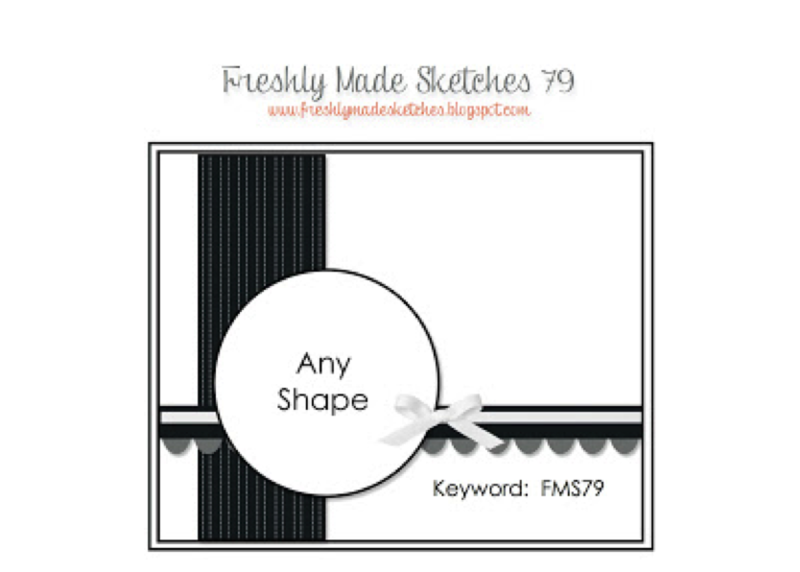 Come and join us this week for Rita’s fabulous sketch at Freshly Made Sketches. While you’re at the challenge blog, check out the gorgeous inspiration from the Design Team. Soooo classy! Love the colors, the flowers and the rich background! These papers are beautiful together! A perfect backdrop for those lovely florals! Well, it is about time you opened that, lol!! This print with the Midnight Muse is fabulous! Love those flowers! What an elegant take on the sketch! So nice ,it’s gorgeous DSP .!!! LOL You may be the last demo in Melbourne to open that SAB paper but I bet I’m the last demo in NZ – cos I still haven’t opened it! You’ve made a great card – love that Summer Starfruit DSP. Gorgeous! You are just about the only person I know who can pull off blue leaves and make them look so natural!! Oh Queen of layers you have rocked this one too!!! I love Midnight muse and Summer Starfruit together!!! Those flowers are so perfect!!! Love their pearls! 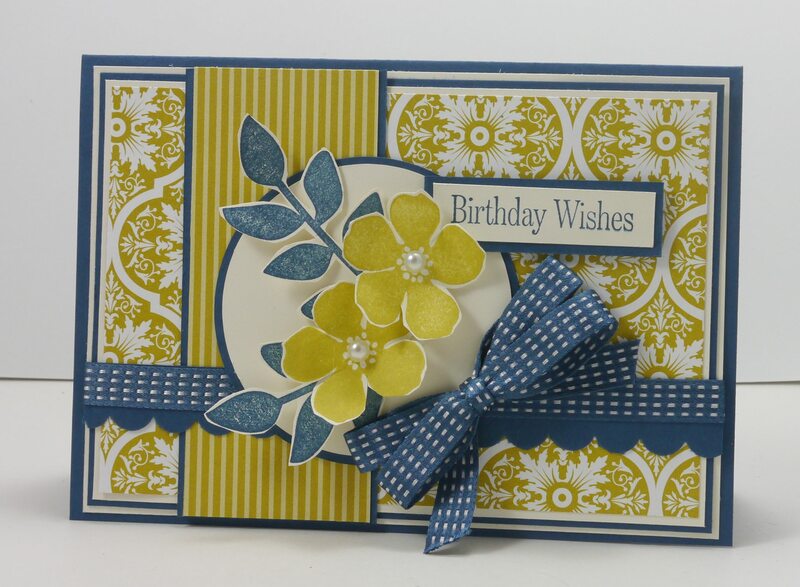 Another amazing card with perfect flowers and a perfect bow! I LOVE the colors and patterns that you chose. Stunning! This card is stunning. Midnight Muse and Summer Starfruit are some of favorites. You really did justice to that beautiful DSP. Okay, Narelle! I don’t like Starfruit so you quit trying to make me. 😉 Such a lovely card. I love Midnight Muse and you used it and the ugly color so well together on this one. I am drooling over that lovely bow. You need to come visit and teach me how to make bows.